With Christmas and New Year making a slow way out of London’s streets and landmarks in early January, there are other festivals unhurriedly making a more discernible appearance in the city in early months of 2019. One of them is Chinese New Year 2019 in London, the largest Chinese New Year 2019 celebration in Europe, this year welcoming The Year Of The Pig. Don’t worry if you’re not familiar with the concept of the Chinese New Year and what to expect from it – most Westerners know very little about it. Fear no more! 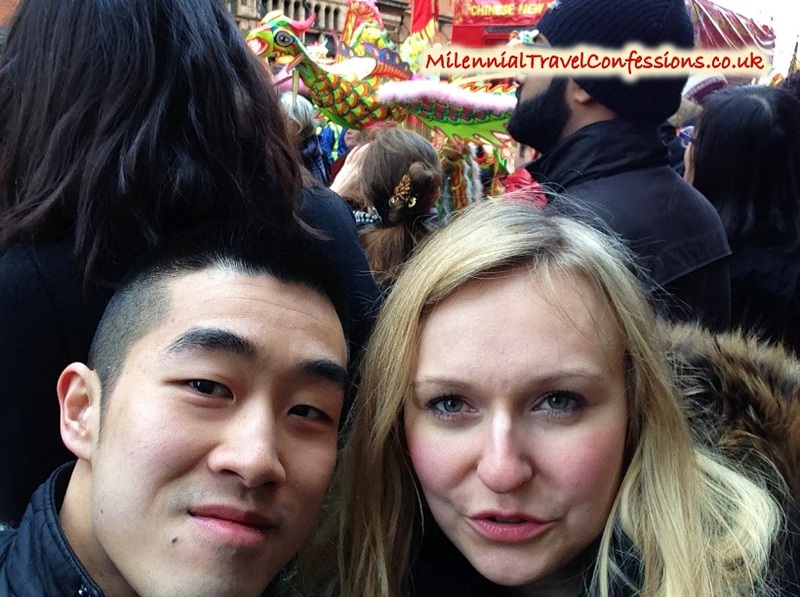 After reading this article, you’ll be prepped for the Chinese New Year celebrations in London as I’m going to share with you my experiences from previous years’ events in more detail. How fortunate of you, I had to go through quite a bit of reading to get a good grasp of what is CNY all about – and you’re getting it all explained in one place! 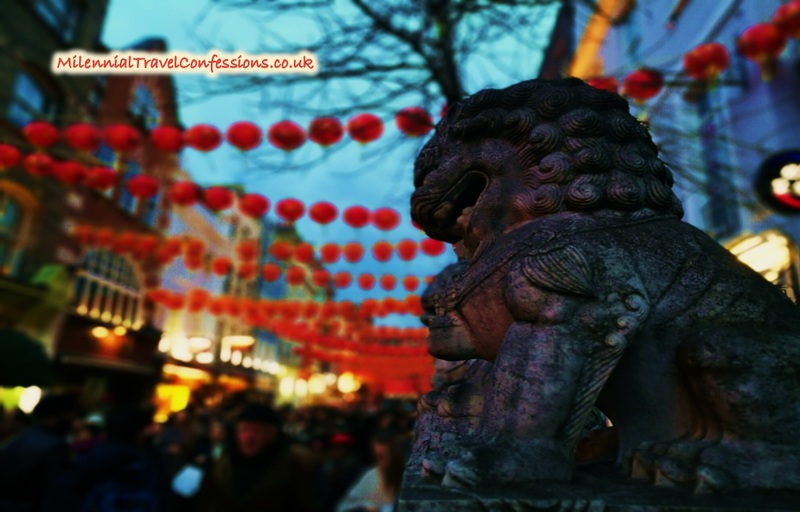 I’m delighted to see you here as it means you have found my article amongst many, many others, out of which only a handful seem to cover Chinese New Year in London in more than a few sentences. 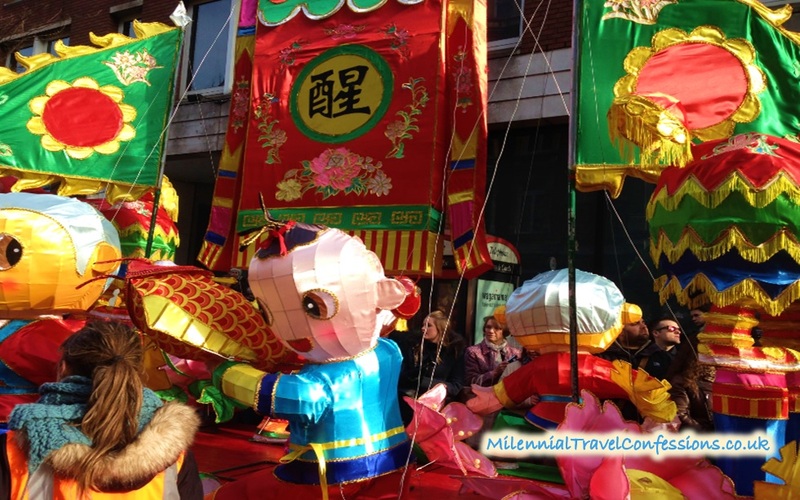 Those of you who are looking to attend one this year and especially the ones who are going to see the Chinese New Year parade for the first time, here comes your little guide on Chinese New Year 2019 in London! 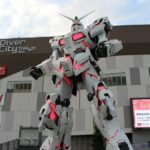 And if you want to get a bigger picture of what the Chinese Lunar Year is actually all about, including the history behind it, the Chinese zodiac, Chinese customs and does and don’ts on that day, check out my other article that covers the entire topic of the Chinese New Year celebrations. After all, you’d rather know the nitty gritty of the Chinese New Year before you head down to London Chinatown instead of walking aimlessly. 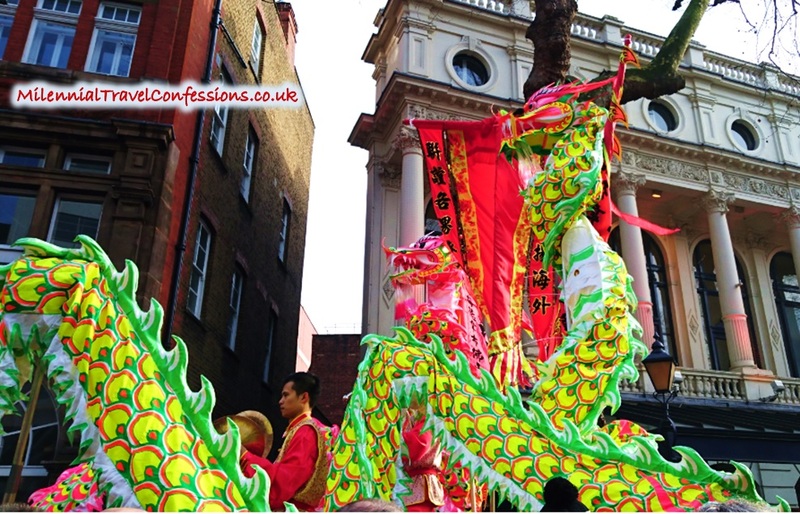 When I first saw Chinese New Year celebration in London, I wasn’t very clued on and this is why I’m here to educate you a little bit so you can fully participate and follow what’s going on around you. Ready? What is Chinese New Year and why is it celebrated outside Western NYE? Let’s start with the basics. The Chinese Lunar calendar is not in line with the official Gregorian calendar used worldwide which, no matter what, begins on 1st January of each year. Chinese New Year marks the beginning of a lunar new year in the Far East. The dates, however, are quite different to the Western celebrations which means that both New Year celebrations take place in China. Chinese New Year officially begins at the start of the Lunar New Year and it’s also known as the Spring Festival or the Lunar New Year. Needless to say, this means that the dates of the Chinese New Year are never fixed. In fact, I quite like to compare Chinese New Year to Easter. Why? Just like CNY, Easter is also a Moveable Feast, except for the way how both events are calculated. In order to get Easter dates right, one needs to take into account old Gregorian calendar which specifies the vernal equinox and therefore Easter is celebrated on the first Sunday after the vernal equinox full moon. You see, full moon again! If you happen to be in China, you are going to see something spectacular – I’m still looking for that day to happen! If you’re curious about it, you should check out numerous videos from CNY celebrations in Shanghai and Beijing; they really make you want to visit. Another alternative would be spending CNY in Hong Kong or Singapore but let’s not get too carried away here! By the way, Chinese New Year festivities last around two weeks, ending with Lantern Festival celebrated on the 15th day of the New Year – CNY, to be precise. 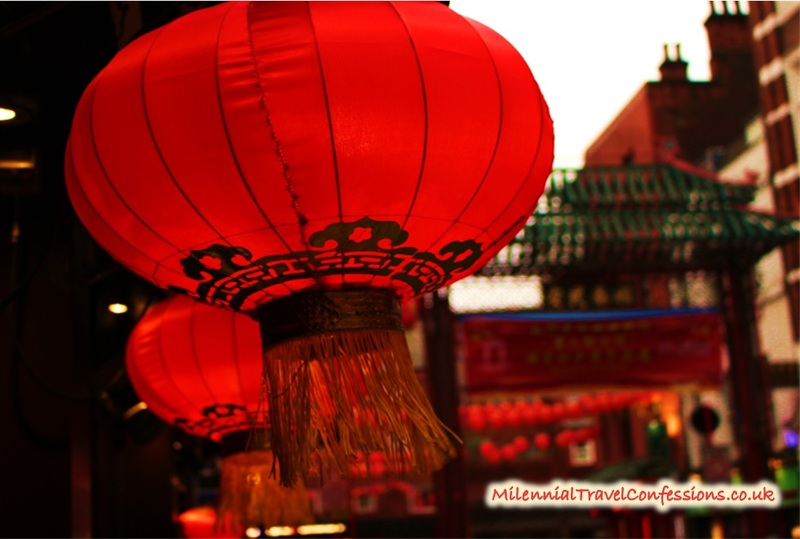 Chinese New Year Dates are never fixed as they depend on the Chinese Lunar calendar. However, CNY usually falls somewhere between 21st January and 20th February according to the universal Gregorian calendar. This year, the official Chinese New Year 2019 is celebrated on 5th February 2019 and it’s the Year of the Pig, based on 12 Chinese Zodiac signs. The history of Chinese New Year goes as far as 3800 years ago so you can only imagine what big of an event that is. Chinese Zodiac, just like the Western astrology, is based on the 12 signs. However, unlike in the West, the signs correspond to the years. According to the Chinese mythology, 12 Zodiac signs represent 12 animals that were asked by the Jade Emperor to be his guards and to do so, they needed to swim across the river. This also meant that the earlier they went through the Heavenly Gate, the better they would rank. The story is very interesting and I recommend reading it. In a nutshell, the Chinese zodiac years are therefore not randomised but are based on the order of animals’ winning positions. It goes ( from the first to the last year): rat, ox, tiger, rabbit, dragon, snake, horse, goat, monkey, rooster, dog and pig. And as we’re at it, Pig is associated with a few derogatory traits, like laziness, growing fastest due to no actvitity accompanied by contant sleep and infinite appetite, greed and not to mention its dirty habits and being most docile out of all 12 characters. Anyone know a person who may share those traits? Don’ t worry about the traits above! In fact, Pigs are known to be generous, compassionate, diligent and don’t mind treating themselves. Indeed, this year seems to be very special marking the last year of the Chinese Zodiac cycle. In case you don’t know, those who were born in the Year of the Pig were born in 1935, 1947, 1959, 1971, 1983, 1995 and 2007 and 2o19. A word of advice, guys – if anyone asks you what animal you are, don’t give it away! As opposed to the Western astrology, it’s quite easy to work out one’s age – and one’s traits based on the Chinese Zodiac. More on the history and customs of Chinese New Year in the article here – get yourself familiarised! Chinese New Year in London will take place on 10th February 2019 with parades and major celebrations taking place around Trafalgar Square and Chinatown. It begins at 10am, I think it’s safe to say that there won’t be much happening until 12pm. The main event with CNY 2019 celebrations will go on from 12 pm until 6 pm but if you don’t want to miss anything, you can get there as early as 10am. Chinese New Year in London is one of the biggest if not the biggest CNY celebrations outside of Asia so it’s pretty sizeable! In case you’re in doubt, CNY is also referred to as the ‘Lunar New Year’ or ‘Spring Festival’. 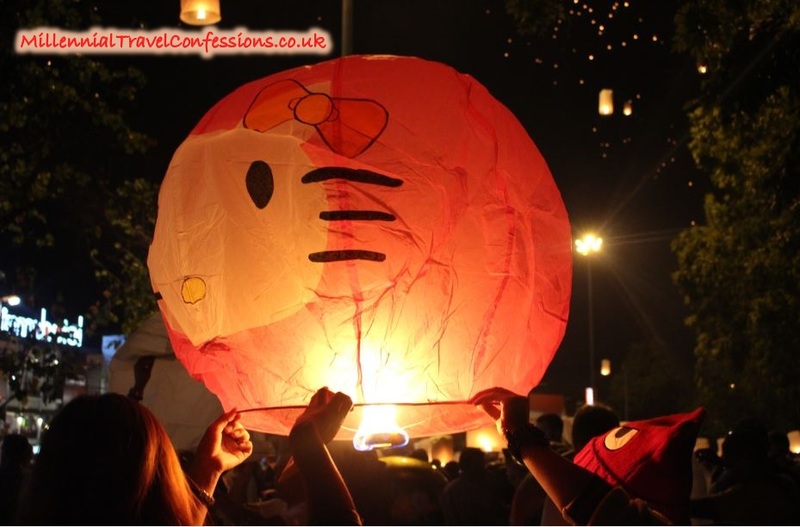 With that in mind, you should consider taking public transport which will be running smoothly on the day of the official celebration of the Chinese New Year in London as it happens mainly around Chinatown and Trafalgar Square. It will get busy though and it’s pretty hard to walk along with the parade as everyone tries to do the same! And it feels like there are many Westerners who join the CNY celebrations so if you’re not Chinese and reading it because you want to see it, trust me, you won’t be alone there. 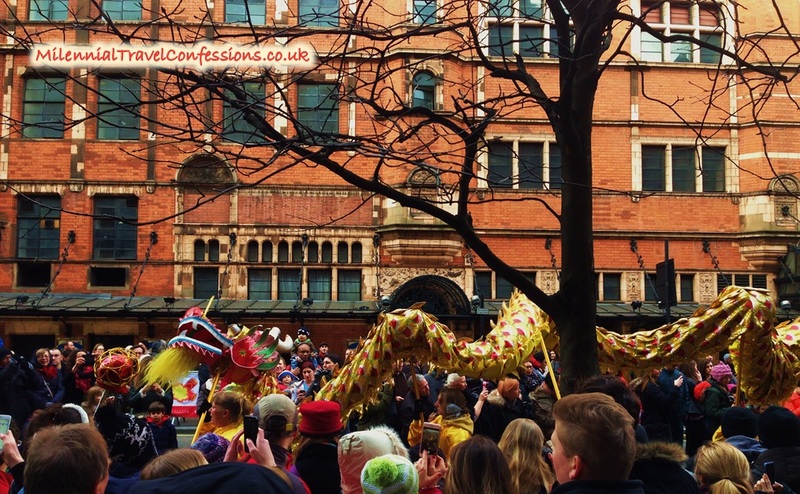 The best places to see CNY are around Charing Cross and Shaftesbury Avenue, that’s if you want to see giant Chinese dragons and the main parade. CNY celebrations is of course around Chinatown but most Chinese restaurants around London will be organising something on that day. The epicentre of CNY in London is, as always, Trafalgar Square where there will be a lot of food stalls, stage with various and traditional dance performances, large outdoor screens and lion dance. About the dance, some of the colourful ones resemble Shen Yun performance but on a much smaller scale. Although Chinatown is in West End, the festive decorations and events will be held mainly around Charing Cross, Shaftesbury Avenue and Trafalgar Square with some roads being blocked off – unless something will change this year! There will be quite a few performances throughout the day with martial arts such as taekwondo, cultural zone, calligraphy and DJs. 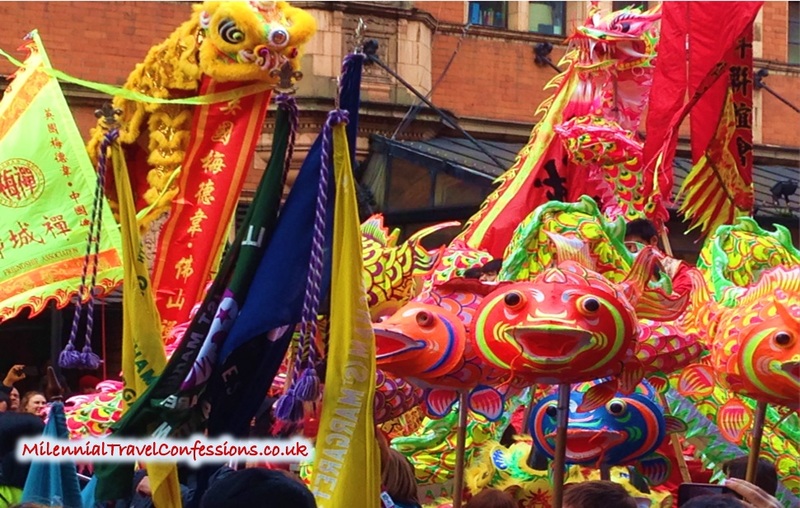 Not to mention a beautiful, colourful parade consisting of hundreds of decorations, including giant Chinese dragons etc. As for the food, there are several things you should try during Chinese New Year in London. 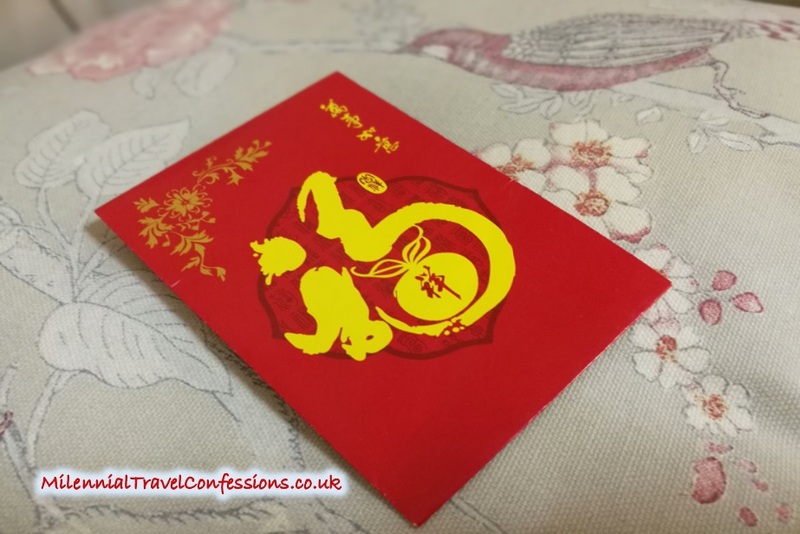 You can read more about it in my article that’s all about Chinese New Year here, such as CNY menu and eating food that’s meant to bring good luck in the upcoming year. You don’t need to follow it religiously, though! But any celebration is good to try some new food, in particular if it’s only seasonal. And if you’re very impatient, I’ll reveal a few dishes right below. Millions of people travel from all over different regions of China and many parts of the world to see their friends and family during this special time. 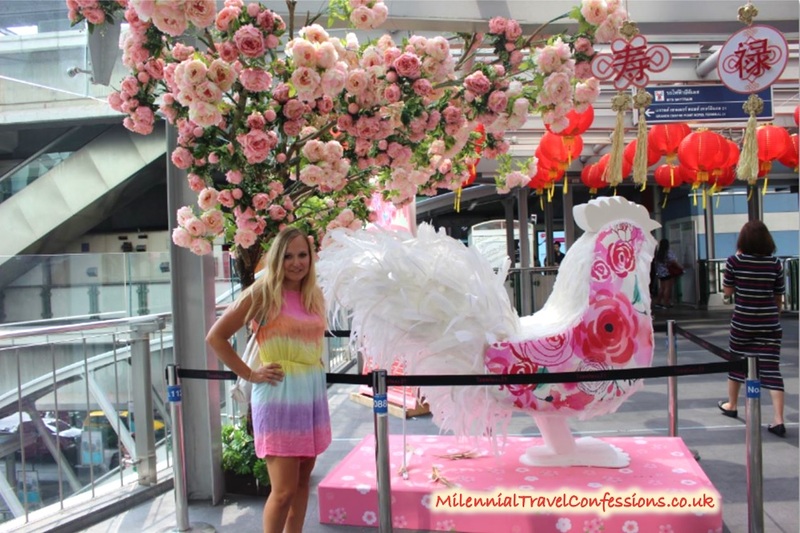 To be precise, the 40 days around Chinese New Year celebrations will bring about 3 billion passengers! You see, it sounds like Christmas to you now! Also, many people in China take about a week’s off work which covers three days of official public holiday but of course, it all depends on individual circumstances, as with the people in the West. All in all, China during Chinese New Year turns flaming red thanks to spectacular pyrotechnics displays, infinite giant red lanterns, flamboyant fireworks, never ending parades and millions of exuberant celebrations filled with excitement on the Chinese faces across the entire globe, including Chinese New Year in London that is considered one of the biggest and prominent celebrations outside of Asia. As part of the Chinese New Year celebration, many Chinese families give traditional red envelopes with money to their family which is normally passed from the married to unmarried family members, like the one you see below. You can call CNY as the red envelope season when a lot of money gets exchanged. Now, more and more of it happens online where people send money using WeChat Red Envelope – well now you know it! Red envelopes come in different styles, some can be very simple whilst others can look really fancy. But Chinese New Year is not the only time the envelopes get exchaged – you will also them exchanged at a wedding, graduation or the birth of a baby etc. 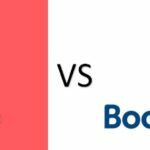 Traditionally, the red envelope is given to an immediate family member who is younger than the person giving the envelope unless they are married. As for the married couples, they are also meant to give a red envelope to their parents. Although you may notice that these traditions are now changing. As you might have realised by now, Chinese people really cherish the red colour which symbolises fortune and good luck. No wonder why, then, the envelopes with beautiful intricate patterns are always red with some gold-like designs – unlike the white ones you’d mainly see in the West! This has been ongoing ever since Qin dynasty, so about 2000 years! 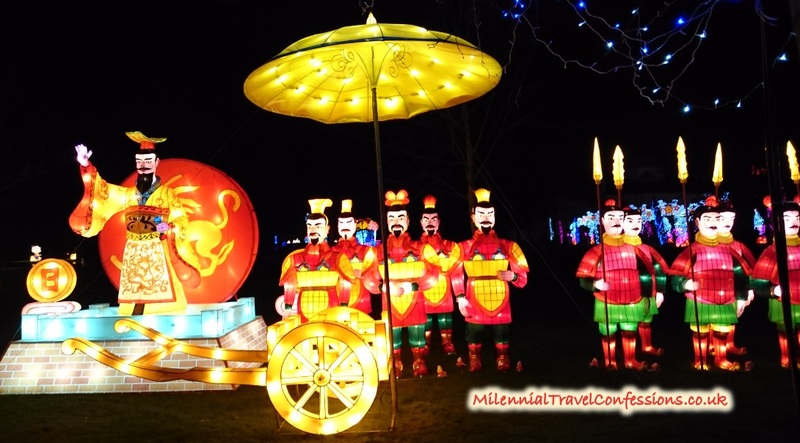 If you want to read more about the Chinese customs for Chinese New Year celebration, you should check out my article which is dedicated purely to Chinese New Year traditions and customs, traditional Chinese New Year food as well as history of Chinese New Year, does and don’ts here. 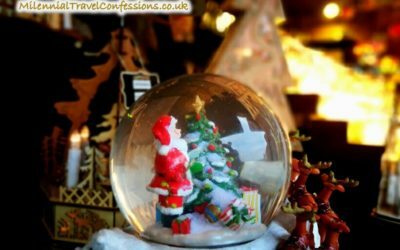 Just like for the Westerners, Christmas and NYE are very important and so is CNY celebration to the Chinese people living in other countries outside of China who celebrate the arrival of Chinese New Year just over a month later with their friends and family. So, if you are Chinese, you can snooze during NYE countdown and it doesn’t necessarily mean you’re late to the party as the Chinese New Year celebration is even more significant to some than the Western NYE. On top of that, CNY celebration lasts a lot longer, in total up to two weeks. Two official New Year’s celebrations, you can’t go wrong with it! 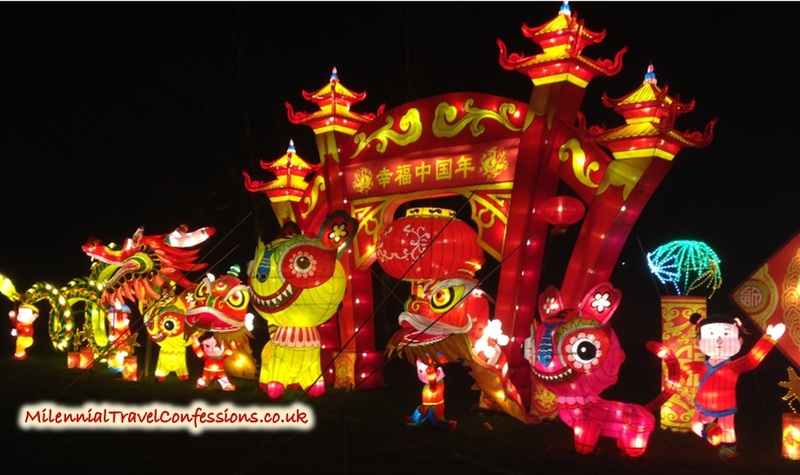 Chinese New Year Menu – What to Try During Chinese New Year in London? It goes without saying that celebrating Chinese New Year in London does not end with a parade; there’s a lot more to it. 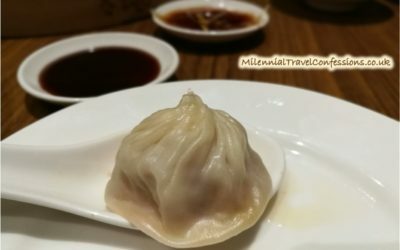 With food being an extremely important part of the lives of the Chinese, you should try the Chinese New Year menu as you may not be able to get it in London outside the CNY celebration period. Dumplings; the symbol of fortune, especially the ones shaped like an ancient Chinese gold. Coming from someone I whose household dumplings are part of their lives, you do not say no to a portion of yummy dumplings! Understood? Spring rolls; I don’t think I need to convince you to them! They resemble a gold bar and symbolise a fresh start. In case your New Year resolution has failed already in January, start all over again during Chinese New Year 2019 celebration in London! Fish; whether steamed or braised, it’s meant to symbolise the good luck in the upcoming year. So there you have it, a few options to try out during Chinese New Year in London. If you can, try dim sum or a hot pot too! 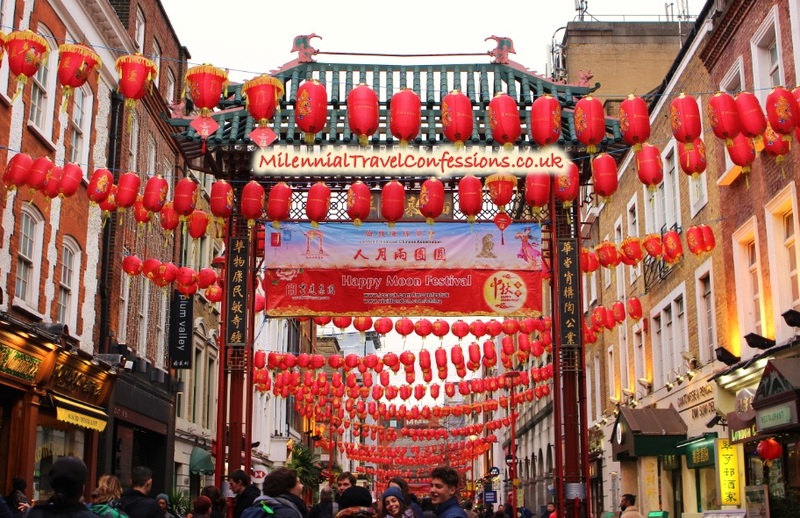 Now that you know where to see the welcoming of Chinese New Year 2019 in London, you may be wondering how to make the most of Chinatown celebrations, bulging in decorations and flamboyant ornaments sweeping across the West End of London. Just like for the Europeans and Americans Christmas is the most revered and celebrated time of the year, so is Chinese New Year celebration for the Chinese people so expect spectacular shows around Chinatown. This is a must for anyone with even slightest interest in Chinese culture. It’s fascinating how much effort has been put into the bright red and golden yellow-dominated decorations all around Chinatown. Start with Chinatown. As soon as you get to The Chinatown Gate in London, you will be overwhelmed by the sheer amount or large lanterns at Wardour Streets, hanging off the strings. These beautiful red lanterns are probably one of the most Instagrammable places around West End any time of the year, let alone Chinese New Year in London. One year we were lucky enough to bring one lantern back home towards end of the day as quite a few of them fell on the ground and were left to themselves so we decorated our place with it in London rather than let it destroyed next day. Anyone who visited our place at that time would make a comment about it how much they loved it. 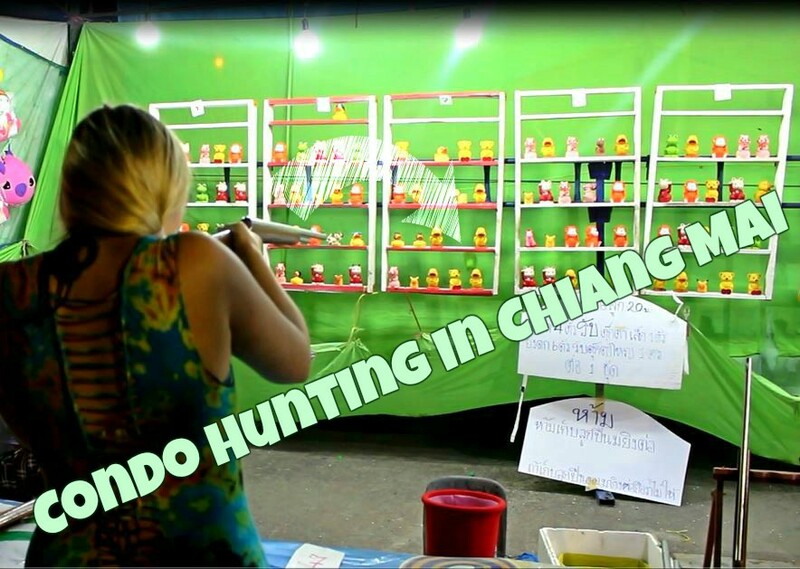 Little did we know that a few months later we would also witness a fabulous Lantern Festival at New Year’s Eve in Chiang Mai in Thailand which you can watch here or read here . Venture in, it’s not just exclusive to Chinese people – quite the opposite, feel free to walk around and go inside a shop or a restaurant. 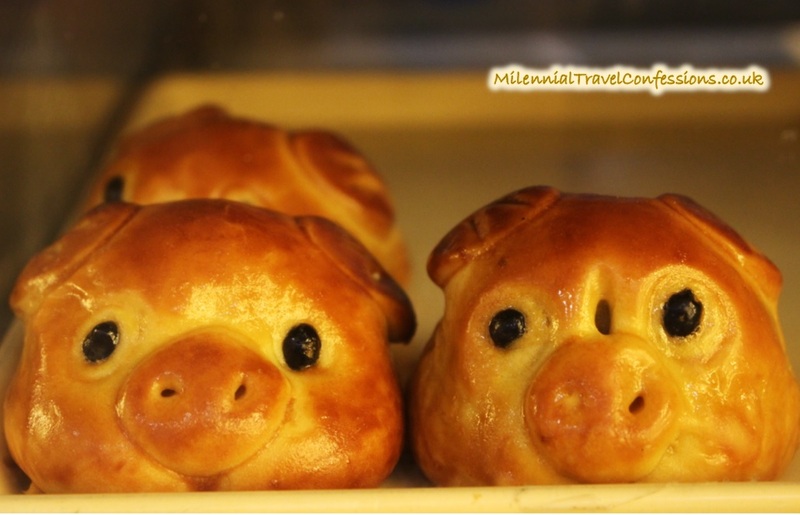 If you’re first thing in the morning, go inside the Chinese bakery and try Chinese buns. Just to clarify, Chinese bakeries are different from Western bakeries so expect some truly authentic flavours! Some of them are so irresistible you’ll almost instantly regret not having them sold at the supermarkets whilst others, well, may be more of an acquired taste. I must warn you, Chinatown in London is always busy and workers seem to be always in a rush but when it comes to Chinese New Year in London, this is taken to the next level so you probably won’t have any opportunity to ask for recommendations. 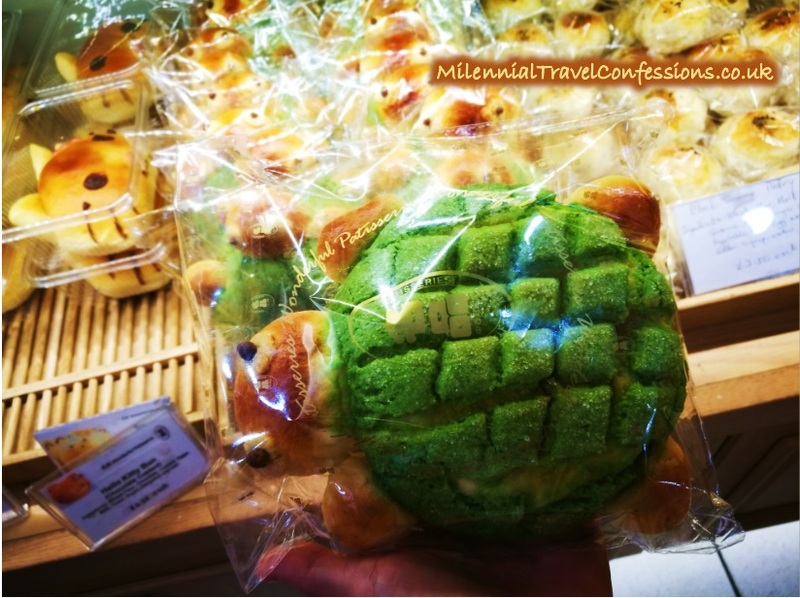 Don’t worry if that happens, simply click here to read a full article about my absolute favourites from Chinese bakeries. Now that you’ve finally got out of your comfort zone and decided to try something new at a Chinese bakery, head out for the Chinese New Year Parade in London Chinatown and Trafalgar Square which always starts at 12. Although it’s pretty much dead up until then if you’re interested in the shows, Chinatown and the whole area of Trafalgar Square with a large stage, huge screens and many food stalls gets packed out well before 11 am so for the best spots I strongly recommend getting there even before as the security guards tend to close off the entrance the main stage at Trafalgar Square for some time until later in the afternoon. If you want to see the traditional dance with bright costumes influenced by dragons and other animals, you should follow the crowds. Expect cymbals, drums and quite a few dancers, including dragon and lion ones and some pretty skilled acrobats. And don’t worry, it’s a family friendly event which is very different from Notting Hill Carnival so you are hardly going to see any abnormal behaviour! Nothing is more exciting than browsing through the shops with unfamiliar writing! 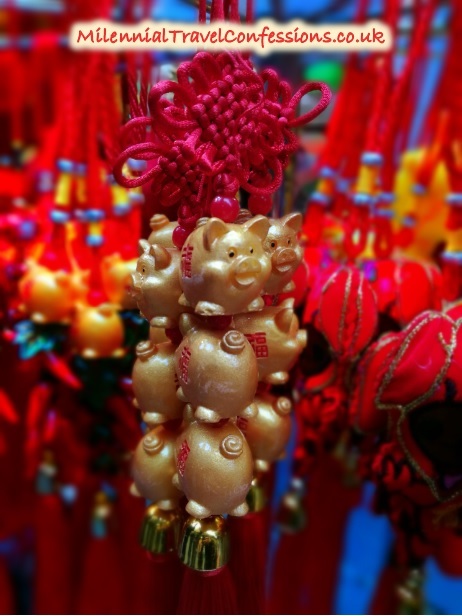 Whether it’s a gift shop where you can purchase Chinese New Year charms for the Year of the Pig, beautiful, bright red lanterns to add some oriental look to your flat or even better – Chinese snacks that are released specifically for the CNY 2019 celebration. 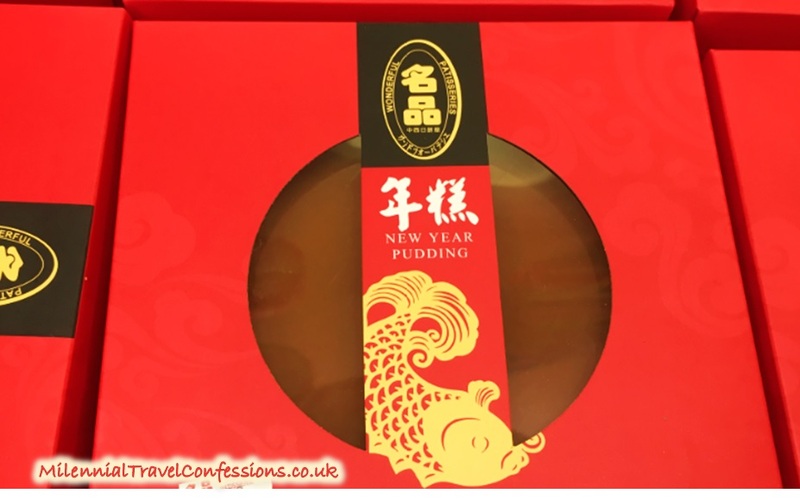 Apart from the obvious Chinese pendants, fragranced incense and jade jewellery and cheongsam dresses (feminine body-hugging Chinese-style dresses), I strongly recommend going into the supermarkets to shop around for the Chinese New Year pudding or Chinese mooncakes. A word of advice – no matter what time of the day or year we go in, it is always busy so don’t get discouraged, the queues are managed very quickly! If you want to know what else you should try, check out my article on the best Chinese snacks from Chinese supermarkets in London. I’m sure you will fall in love with them! 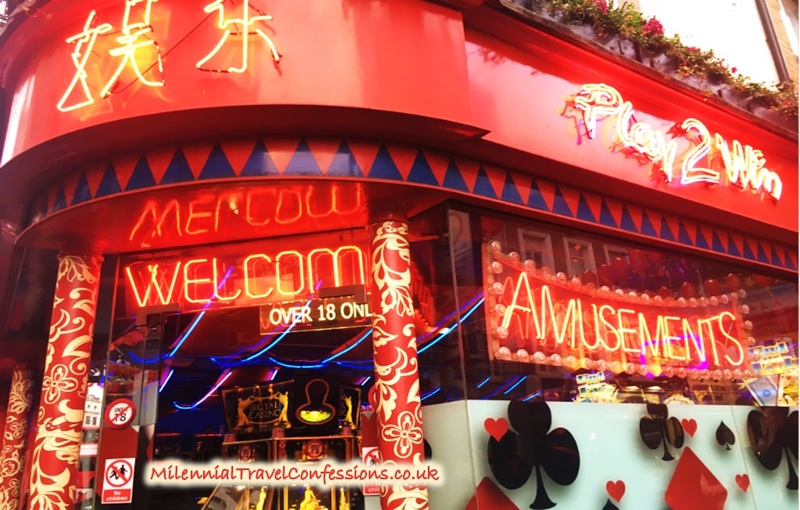 By all means, I am not trying to get you into spending your hard-earned bucks on gambling but I am more than certain that you will come across a few casinos around Chinatown and Leicester Square. Well, there is a reason for it (and definitely a great demand). Whether you want to play safe or want to try your luck at one of them, it’s all up to you. Alternatively, take a sneak peek at what’s like during Chinese New Year celebration – as they will be heaving with the Chinese people! It’s part of the Chinese culture so naturally, you will be seeing quite a few people heading in that direction, including us! Treat it more as fun, after all you’re there to enjoy the spirit of the Chinese New Year celebration in Chinatown – all your winnings should go on a little food spurge, like making a bet on trying something new from the Chinese New Year’s restaurant menu. If you’re coming down to Chinatown for the Chinese New Year in London, by all means you should not be leaving without treating yourself, friends and family to a delicious dim sum selection. 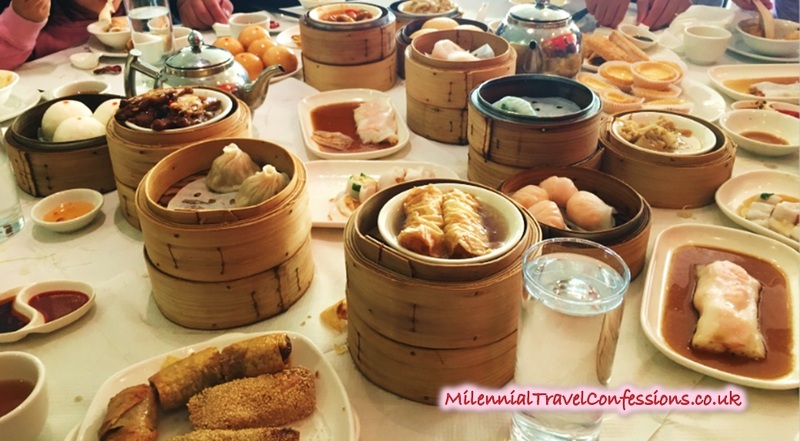 In case after reading about the Chinese New Year you feel like you need some introduction to the Chinese food and the concept of dim sum, or Chinese lunch time is vaguely familiar to you, check out my article on dim sum here where I explain (step by step!) 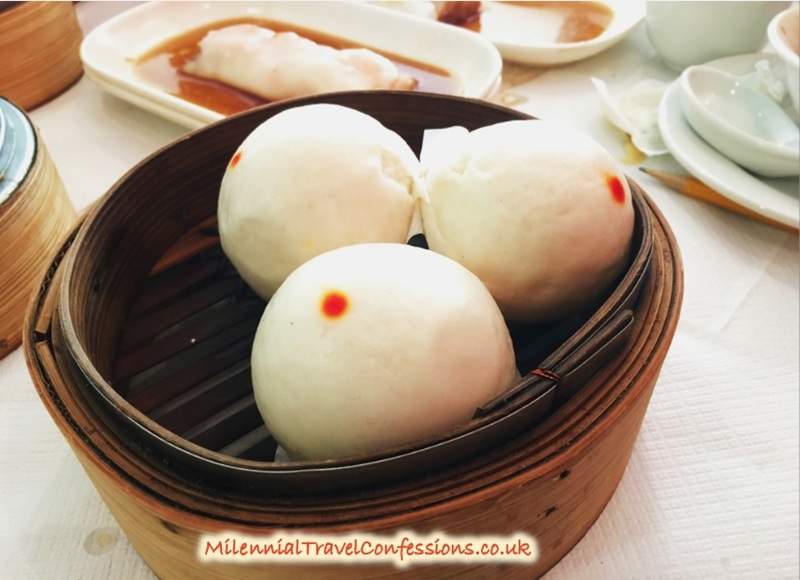 all you should know about the dim sum, from the history of dim sum, to best dim sum dishes to how to order it and eat it to best restaurants in London. 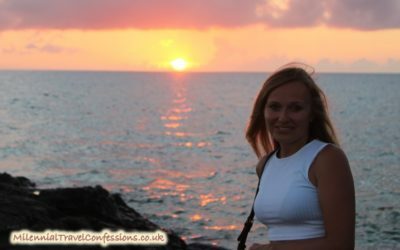 This will definitely help you if you’re not a native Chinese speaker nor you’re ever going to take up Chinese classes – as the menu can be tricky if you come unprepared! Nevertheless, each time we go for dim sum or Chinese hot pot, we get super excited – so once you’ve done it yourself, you’ll understand why! 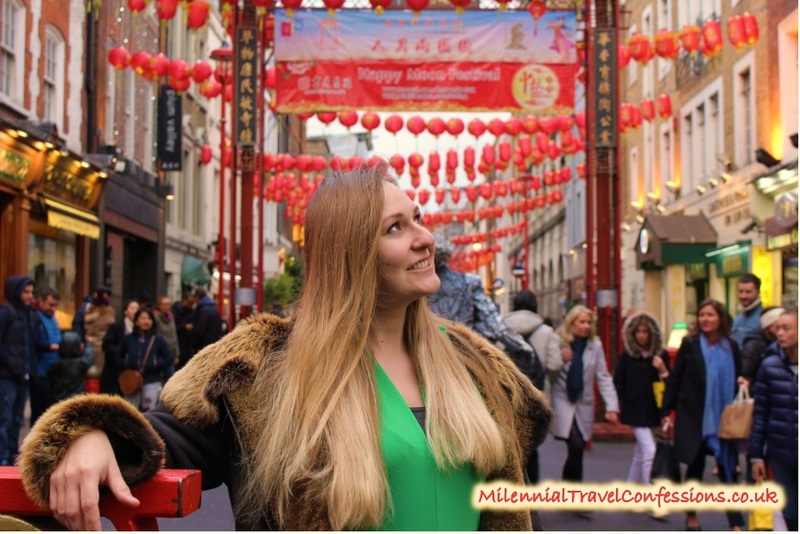 Ready To Celebrate Chinese New Year 2019 in London Chinatown? See You There! You can now feel relieved. 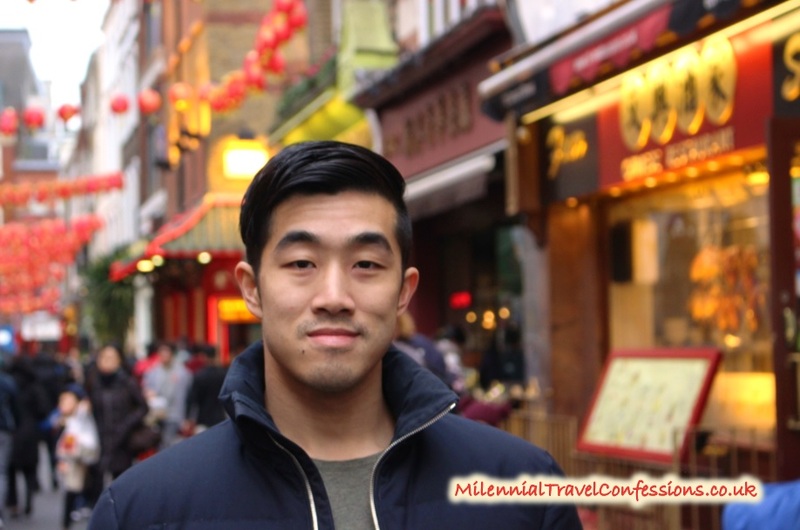 You’ve finally come to an end of my article about Chinese New Year in London and on top of that I feel like you’ve learnt something new with me today – which is what the entire blog is all about! And if you happen to be in London Chinatown for the Chinese New Year in London, the chances are, you may see us there too – either snacking, devouring food from the Chinese New Year menu or taking pictures. See you there!